Welcome to Yost Family Dentistry. 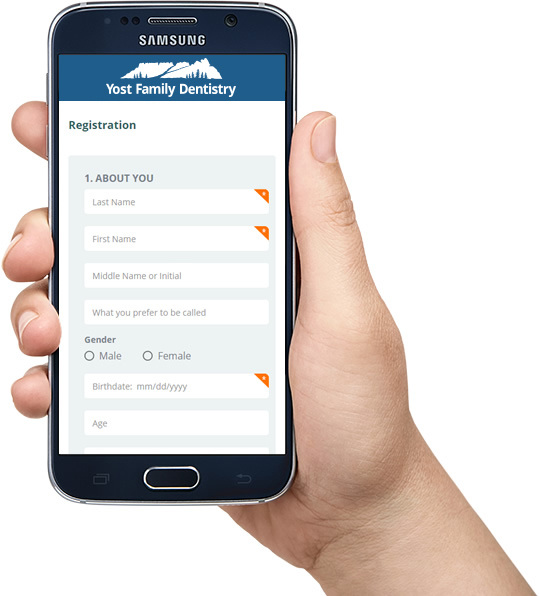 We are currently accepting new patients, and we would love to address your dental needs. As a convenient service to you, we accept online applications. Save time and complete the following form. All you need is your dental insurance information and your driver's license. The forms are security protected and encrypted. Your privacy is valuable and important to us. The form takes only 10 minutes to complete. 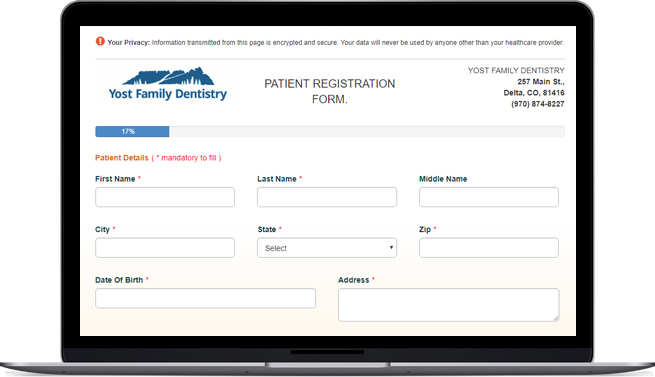 Fill in our New Patient Forms at your convenience and submit them online. Once you have submitted your information electronically and securely, our office will contact you about your first appointment in 1-2 business days. If this is an emergency, please call our office at (970) 874-8227.